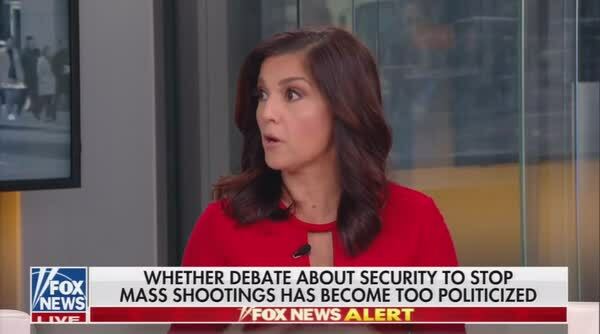 Fox News' Rachel Campos-Duffy, wife of Rep.Sean Duffy and a supposed conservative who shills for the NRA wants the feds to pay for churches and synagogues to be armed if they can't afford them. After Trump said the Pittsburgh synagogue should have had an armed guard to prevent 11 people from being killed by an anti-Semite with an AR-15, Duffy-Campos thought it was a splendid idea for the federal government to foot the bill for guns and guards. Campos said, "I think it has to be up to the church or the synagogue with the temple to go we want this -- I think the federal government should step in for churches and synagogues who can't afford that kind of protection, let's give it to them." In Christianity Today they report there are as many as 384,000 religious congregations in 2012. Just imagine arming all other congregations, temples churches offshoots while also wanting to arm every school in America. It's crazy talk from stupid people.